Do You Have Apartment Insurance? This is a boring but necessary subject for apartment dwellers. Homeowners are required by the bank to carry homeowner’s insurance, but apartment insurance is something that is completely optional for us renters. I actually did not have apartment insurance at one time, thinking it was an unnecessary expense. Until I started thinking about what would happen to the family if we lost my belongings for some reason or other. I did not really want to think about it, but it was something we needed to do, especially now that I have a small amount of stored food and emergency supplies. If you feel you don’t need it, consider this: how much do you think you would need to replace your stuff if something happened to your apartment? Do you have enough money in your savings to replace everything you own? I checked into rental insurance and found the cost to be reasonable. The premiums are around $30-$40 per month, and you can get a discount applied if you have your auto insurance policy with the same carrier. Coverage includes replacement coverage for belongings. If you do decide to obtain a renter’s policy, read everything in the policy and ask the agent questions about what is covered and what is not covered, and details about what happens if you had to file a claim. Apartment insurance may not be one of the most exciting aspects of being prepared, but worth some consideration as part of a well rounded preparedness plan. Here is a good video on antibiotics after TSHTF – from ThePatriotNurse. Have a thought you'd like to express? Shoot it over to me via the e-mail link on the left of the page. All I ask is that you keep the language clean and that it is your own material. You retain ownership of your article. I thought I'd try something new this year. Thank you to those who have spread the word about the blog. Please tell your friends, etc. If you have a website that you think complements my blog, please feel free to contact me to trade links. 1 donation for the month. Oh, well. Times are tough all over. If you do wish to donate, there is a Donate button on the left hand side of the page. If you wish to send something via snail mail, please contact me for my address. Every little bit helps. A big thank you to my loyal readership. Without you, there is no blog. When it is time for you to escape to your established retreat you never know exactly how long you will need to remain there. It could be perhaps as little as a month or in dire cases you might maybe be there for a year or more. In either case drinking nothing but water can quickly get old and become boring. My suggestion on this issue is that you plan on storing up a few other instant drink mixes as well. I have personally included sufficient supplies of coffee, various teas and a selection of powdered juices and drinks specifically tailored to family member’s tastes. In my pantry you will find a good selection of herbal teas some of which are designated for medicinal purposes while others are merely tasty to drink. I keep a small selection of canned as well as bottled juices on hand, several containers of powdered milk, hot cocoa mix for my wife and plenty of containers of Kool Aid. We have drinks which are commonly found in the grocery store such as Tang and even some that are more difficult to locate. My go kit contain individual drink mixes which you merely open and dump into a bottle of water. Nothing could be easier. In this way I merely have to provide cases of water in my BOV instead of a large collection of soda bottles or cans. When I was explaining this process to a small group of preppers they posed a question in my direction. They wanted to know how I managed to store my teas for any long periods of time. They indicated that the boxes which the tea comes in were really very inadequate for long term storage. I too must admit that this observation was very accurate. In the past I have taken the tea bags or the loose tea out of the boxes and placed it into small half pint jars along with a single oxygen absorber. This method may not be the most efficient way to accomplish the task but in all aspects it appears to work just fine. In the case of the Kool-aid mixes or the tang I leave them in the original containers they were purchased in. as long as they are not opened they remain dry and useable for a long time. Once opened the drink mix should be used within a short time frame. The problem stems when moisture is allowed into the container. The product then gets lumpy and so hard that you may as well toss it in the trash. In order to keep your coffee from going stale you should consider storing them as beans. Place them in a quart canning jar along with an oxygen absorber and they should last a good many years. Take and grind the beans as you need them. In conclusion, water is a necessity of life but nothing in the rule book says that we can not flavor it to make it more appealing. Think carefully on your drink plans as you prepare your food storage at your retreat. What do you need to raise chickens? 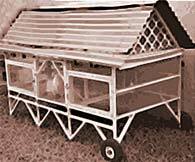 – The Basics of raising chickens. Before the days of Walmart, raising Chickens was a pretty normal thing to see. Even in the city people would keep chickens as a way to have fresh eggs and control bug problems. With more people turning towards organic foods and backyard gardens, raising chickens is starting to increase in popularity again. From knowing where your food came from to making sure your family has fresh food during an emergency there are a number of reasons that people are deciding to raise chickens. Fresh Organic food free of pesticides and chemicals. They produce good nitrogen-rich manure that, when mixed with your compost is great for plants. While there are a couple breeds of chickens that produce eggs and meat, most chickens are bred either for their meat or for their eggs. For the beginner we recommend either buying a couple of young female chickens that have just started to lay eggs or a few baby chicks that have already hatched. You could also buy fertilized eggs and keep them in an incubator until they hatch, but baby chicks are easier when you’re just starting out. The taste of your chickens meat and eggs has a lot to do with proper feeding and watering. Water – Each hen will drink approximately 2 cups of water per day. It’s very important to always have a fresh supply of water for your chickens. Grains – Wheat, corn & oats. Greens – Greens can be made up of grass, weeds and other fresh vegetables from your garden. 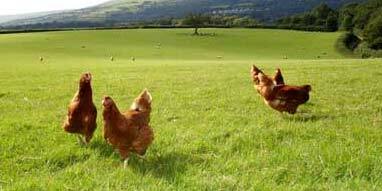 Protein – During the summer months most of the protein that your chickens need can come from bugs. If supplementation is needed you can use soybeans, fish meal, worms, milk and or meat. You can purchase chicken feed from just about any feed store, but making it yourself can save money and ensure that you know what your chickens are eating. 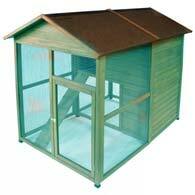 A chicken coop doesn’t have to be overly complicated or expensive. In fact a decent coop can be made with materials that you probably already have. The basic Chicken coop is made up of some wood, a couple feet of chicken wire and either wood shavings or straw for easy cleanup. Also, if you have the room we suggest enclosing a large area so your chickens can roam free and feed off the bugs and grass. 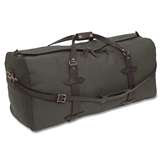 After all of your hard work you have finally managed to create what you believe is the perfect Bug out Bag. It may have taken you mouths of hard work obtaining all your necessary products but you eventually did it. Now that you have the hard work completed you have to decide where would be the appropriate place to store this valuable piece of survival gear. This might at first seem like a simple question and answer but upon serious thought it isn’t as clear as one would expect. Your task now is to determine the best location to store your bag until you need it for an emergency. This kit is another of your survival “Insurance Guarantees” which go along with the 24 hour kit and your automobile survival kit. The main concept behind your kit is to be able to retrieve it quickly in the event it is needed for a bug out. We keep ours in a dark cool, dry closet off our living room. This type of environment is critical to preserve the foods which we keep inside of it as well as the liquids that are saved there. Any type of secure location would serve just fine as long as you can immediately get to it so you can periodically recheck its contents for currency and completeness. Remember, these check should be completed on a regular basis so you don’t want it to be hidden in an out of the way location. You would not want to be stumbling over holiday decorations in your efforts to get to your bug out bag. Another not so desirable location would be your basement. Often times when things are placed in basements they are overlooked and frequently forgotten. This kit is too vital for your family’s life to be forgotten. In the event that you store any weapons in your bug out bag make certain that they are totally secure. The last thing you would want is for your children or any others child to get to your weapons. You could employ one of the combo locks to properly secure the compartment of your BOB which contains your weapons. The main idea here is to clearly keep in mind is that your BOB should be handy and ready to “grab and go” at a moments notice. These BOB’s must be readily accessible for a quick grab when needed. Lastly, I would like to remind you that you should seriously consider a vehicle BOB as well. This BOB would be crammed with items that are normally much too heavy for you to carry such as bulky supplies and which you have deemed to be vital. I will frequently leave both my normal BOB and the vehicles BOB in my BOV, that way its ready whenever I need to escape the area. There you have it folks now it’s up to you. Do you store it in a living room closet or the trunk of your BOV? This is a decision that you must decide yourself. 1. Is everyone in relative agreement about having a firearm in the house for protection? If one spouse wants a firearm and the other is adamantly opposed to it, these issues should be worked out before you make your purchase. 2. Are there any situations in the home which would preclude safely having a firearm? If there is domestic violence, mental illness, alcoholism, or someone who is suicidal living in the home, having a firearm in the mix is probably not a good idea. 3. Are there any convicted felons in the home? Legal issues regarding a felon in possession of a firearm, even if it is registered to another member of the household, should be addressed before purchasing the firearm. 4. Are you aware of the laws and local sentiment regarding having and using a firearm for protection in your locale? Laws vary widely and so does the sentiment of the prosecutor/DA should you actually end up killing someone on your property. Know these things ahead of time. 5. Do you have a safe location in which to store your firearm? Hidden behind the clothes on the top shelf of the closet is not a good answer. With firearms ownership comes the responsibility to keep it away from those who shouldn’t have access to it (your kids, your kid’s friends, guests in your home, burglars, etc). 6. Are you willing to take a “firearms for personal defense class”? Even if you went shooting every day as a kid or frequently used a firearm in the military, personal defense classes cover many topics that are specific to the kind of use you are thinking about. 7. Are you willing to make the investment of time and money to practice regularly? I’m talking about at least 50 rounds per week at the nearest firing range. This is a big commitment of time as well as money but it is imperative if you intend to use your firearm as a means of protection. 8. Are you aware of any registration/licensing you may need to do if you buy a firearm? Again, laws vary by jurisdiction and you may also want to carry your firearm concealed off of your property which could necessitate a concealed carry license. 9. Are you aware of how owning a firearm will impact how others react to you? This could include everything from other parents not letting their kids play at your house because they know you have a firearm to making you a target for burglary if your kids brag about the “arsenal” you keep in your home. 10. Are you willing to take someone’s life? Hopefully and most likely this will never happen but owning a firearm for personal defense means you are willing to use it to kill someone. There is no “I’ll just use my gun to scare someone or “wing” a burglar”. When it comes to the point that you are pulling out a weapon to defend yourself, the probable outcome is someone will end up dead and while the movies make using a weapon to defend yourself look glamorous, it is actually anything but. 11. Do you know what kind of firearm(s) you want to purchase? Each type of firearm/weapon caliber has a purpose in self defense from close quarters pistol combat to shotguns and rifles for particular purposes. It is a good idea to go to a firing range and try a variety of firearms as well as seek the advice of experts before you make your purchase. 12. Are you willing to take care of the nitty gritty details of firearms ownership? Including but not limited to keeping your firearm clean and in good working order, education yourself about the differences in the ammo that is available for your weapon, maybe taking a foray into reloading, etc? 13. Are you willing to continue your education in personal defense? A basic personal protection class is just that, pretty basic. You usually get an overview of firearms, an overview of local laws, a bunch of safety tips, and some range time. This in no way covers everything you need to know about using a firearm for defense which is why continued, advanced training is a necessity. 14. Would you consider participating in other types of gun owner activities? There is no better way to expand your knowledge of firearms and related firearm topics than going to gun shows, reading firearms magazines and websites, joining a shooting club, hanging around other shooters, making friends at the local gun shop, etc. 15. Have you considered a number of “worst case scenarios” and thought of ways to address them? There’s too many to list here but just look up “gun accidents” and you will find not accidents but lapses in safety, education, supervision, and skill. How would you address these in your household? 16. Do you know the limit of your firearms knowledge and skill? There’s no shame in being a newbie, that’s how everyone starts out, but it’s a wise person who realizes they can’t teach their own kids or spouse about shooting until they have improved their skills. It’s a wise gun owner who isn’t ashamed to admit they don’t know something instead of just guessing at an answer that could have catastrophic consequences. 17. Would you be a responsible gun owner? Some people just aren’t. The ones I am speaking of get drunk then haul out their firearms to show their friends, they have anger management issues that haven’t been addressed, they “brag” about their guns to anyone who will listen, they think they are safe shooters even as they sweep their friends while finding their target during practice. You get the idea. 18. Are you willing to publicly support firearm ownership? No longer are we secure in our right to own firearms. It takes everyone who is supportive of firearms rights to “support the cause” whether you join the NRA, volunteer to teach a hunter safety course, or discuss your views with your politicians and vote accordingly. If our rights aren’t protected and defended, pretty soon we won’t have these rights. 19. Will you completely disregard anything you have seen in the movies or on TV in regards to firearms use? The shooting you see on TV or on the movie screen is generally a stylized version of what people, who have often never even held a real firearm, think shooting should look like. It’s hardly realistic and copying some of the crap you see on TV could get you killed. Seek out knowledgeable firearms trainers as your life could depend on it. 20. Are you willing to review/enforce participation in all of the above points for everyone in the home? Even if you know and faithfully follow all of the advice above, if you aren’t the only one living in your house you need to ensure that everyone has considered and practiced the above points from attending classes and practicing to having safety uppermost in their minds when handling a firearm. That’s a pretty comprehensive list of things to consider. A few decades ago these things weren’t even thought about as it was pretty much a given, at least where I lived, that every house had a shotgun behind the door, a pistol next to the bed, and a rifle hanging in the back window of their truck. These days, especially with fewer and fewer people growing up around firearms, a lot of thought needs to be put into the whole firearms for personal defense question followed, of course, by a lot of education, training, and many considerations for safety. Note: This was a very difficult post to write as I did not want to come off ridiculous or leading the reader to believe that I am paranoid or a nutcase. Oh well – did the best I could. Ever since I was a teenager I always thought I was a little different than my friends. Of course – one thing that was different was my concern over the Cold War between the United States and the Soviet Union. This is where my interest in survivalism came from. I was concerned about a nuclear war happening while my buddies were mostly occupied with playing Pac-Man or Asteroids. One other thing that made me feel different than many of my friends was awareness. What is awareness? Simply – it is the knowledge of what is going on around you. Whether it’s riding the “T” in Boston or walking the streets in Charlotte NC – I make an effort to be aware of what is going on around me. I do not just watch and look at things in my environment – I listen as well. Location of vehicles – moving or not in relation to my location. Are they just standing in one place? I try to have a heightened sense of awareness for many of the same reasons why people carry concealed – they want to protect themselves and their family. If people were more aware of their surroundings there would be far fewer crimes such as rapes and carjackings. Use your peripheral vision. Peripheral vision is what you see on the side of wherever you are looking. Many times things happen NOT directly in front of you. With just a little practice – you can use your peripheral vision to make observations and “see” more. Try this – look straight ahead and look at an object. Now – observe a pet or a child do something directly to the left and right of you. You may not see extreme details – however you may soon see more than you used to. Listen.Listening is one of the most undervalued methods of observation. How many time have you been walking down the street and heard a loud racing engine of a car and looked to see a speeding vehicle? This is what I am talking about – but on another scale. Whether it be footsteps in a parking garage or the sound of an argument one aisle over in he grocery store – be aware. Listening may allow you to be aware of that mugger waiting around the corner in the parking garage or keep you out of the grocery store aisle where an aurgument turns violent. Scan.Direct vision does not have to appear so direct. Walking through a park or a busy city – you can look around and see a lot if you pay attention. You do not need to look directly at something to see it. You can look at something while turning to look at something else. An example: Your at the park with your children. It would be very natural for you to be looking around watching your children run and play. While watching your kids – observe the people around you. You may see something such as that man leaning up against a tree taking pictures, or that women with a baby carriage and no baby. In no way am I talking about paranoia. It is really just being aware of what is going on around you so that you may be able to prevent something bad from happening- to you or to a loved one. Thank you for the first donation of the month/year. *If anyone else is so inclined, the donate button (Paypal) is on the left hand side of the page. All donations go first to my operating expenses (ISP, Domain, Web Hosting) & anything above that goes to my preps. I have 3 CB's. 2X vehicle mount and one portable. I consider them an essential part of my commo gear. C.B Radios are once again gaining popularity among truck drivers, RVers and some survivalists. A properly tuned CB has a range of around 10-20 miles but is commonly illegally tweaked to transmit over hundreds of miles. While my choice of radios always falls towards a mulit-band ham radio, I always have the C.B. frequencies programmed into my radio so I can scan the local area during an emergency. Citizens’ Band radio (better known as CB radio) is a short-distance radio communications that takes up 40 radio channels from 26.965 to 27.405 MHz. Channel 13 27.115 MHz Often used in some areas for marine use & recreational vehicles. Hello again everyone in SHTFblog land! Today I am going to walk you through some herbs and spices you will probably want to bolster your foodstuffs with. After each Herb/Spice I list, I will offer a brief explanation of its usefulness. So let’s get started, the sooner some of these items are on your shelves, the sooner you can start counting on them! Paprika, Smoked SWEET- Base in making many spice blends, flavors small game well, a little goes a long way! Prague powder- AKA Pink Curing Salt- GREATLY increases the shelf life of meats cured with it, meats can be cured in a simple brine, cheap- I can buy enough to cure 100lbs of meat and it costs about $2-$2.50… ESSENTIAL if refrigeration is unavailable/unreliable! So that is a simple list of some Herbs/Spices you may wish to stock in your pantry and why. Now it’s your turn! Do you have any of these items in your preps? Have you considered any of these items that you may not currently have? Is there anything important that you think I missed? Do you have anything to add to this BASIC list? Are there any items you know of that may replace or work better than an item or two on this list? Hope everyone found this informative, please if you have any questions, simply ask them in the comments below and I will answer them to the best of my abilities! Thanks Guys! What is the Budget Emergency Survival Kit? really care about survival stuff. who has little training in outdoor survival. Lets look at the kit. equipment, do not abuse it. First thing to do for any wound is get it CLEAN. it costs about $1.00 and averages 100 tablets. foot Plastic Tarp with 4 - 10" steel tent pegs. You can easily make a long lasting shelter with it. a plastic floor to lie on instead of the ground. The smaller size helps keep heat in. dig and can be used to make very good falling traps. as a weapon. I think this offsets the weight issue. sun shade. The tarp is durable. snows while you need to be moving. fit in a sandwich bag. $2.00 up to about $4.00 for a large roll. Get it. Pack it. Youll be glad its around. This is a really good item for its cost of $2.97. is reasonably accurate if you need it. louder than shouting, and takes less energy to use. to any survivalist. Buy good quality matches. The waterproof and life boat matches are good. matches or more to get a fire going. Sound crazy? in wet grass. Youll see. Plenty of matches. Include a couple diposable lighter in this kit. Often, it is just easiest to use the lighter. keep from accidentally releasing all the butane. trioxane, or pretroleum jelly, or hand sanitizer. I also suggest that you add a couple of "tea lights"
let the candle light the kindling. side towards the wall of the pill vial. work and have both hands free. even better than the cord. What to pack your kit in? coffee can with lid. These tend to roll around. the trail? Not good ! Needle and thread; repair things. Small mirror from Dollar store. Signaling device. to collect water, drink from, or keep things dry. Are You Ready For Massive Food Inflation? As you may have noticed, food prices are going up all over the place. Your grocery budget just doesn’t go as far as it once did. Not only are prices going up in a noticeable fashion, but you may have also noticed packaging shenanigans that the food companies are pulling to hide the inflation that’s occurring. In a nutshell, they’re changing the packaging to contain less product with the same size package, often for even higher prices. The price per unit for so many things is going through the roof and most people out there have no clue this is happening. The problem is just going to get worse. Commodity prices are going up. Bigtime. We’re talking a doubling in some food commodities in the last year. And oil prices are going up with no end in sight. All of this impacts the price you pay for food. Oil most of all. One of the easiest things you can do is plant a garden and raise some of your own food that way. Everyone can do this, even if it’s just a few terra cotta pots in a window. The more you can grow, the better off you will be money wise as well as health wise. Starting a garden is pretty straight forward. If you’ve never gardened before, I recommend Square Foot Gardening as a good starting point. It’s simple, easy to understand, and above all systemic. This is very important, because having a system to follow is key to your success. Once you’ve got a garden going, keep expanding it slowly. Don’t go whole hog the first year, but learn and grow more as you go. Your first few years will be a big learning experience for you, I guarantee! But it’s definitely worth the work! If you’ve never had fresh vegetables that came from a garden, you have no idea what you’re missing. By small livestock I mean primarily chickens and rabbits. They are quick to produce, and are generally pretty hard to screw up too badly. Now, you’ll definitely want to check your locality to make sure that you can have rabbits or chickens in your back yard, because sometimes you just can’t. We can’t have chickens, for example, which annoys me to no end. I recommend at least having a few chickens if you can, eggs are expensive commercially and if you have your own chickens, you’ll never have to buy an egg again! 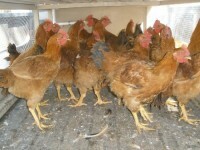 Check out this post on raising chickens for more details. CSA is short for Community Supported Agriculture. It’s sorta like a buying club for farm products. You’re helping to pay for the expenses of raising the crops on the participating farm. One upside is that you get great food, but a corresponding downside is that you end up sharing the risk with the farmer. After you join, you do not pay for a specific amount of product but rather support the budget of the whole farm and receive weekly what is seasonally ripe. This approach eliminates the marketing risks, costs for the producer and an enormous amount of time and labor, and allows producers to focus on quality care of the soils, crops, animals and co-workers as well as on serving the customers. If you’re interested in participating in a CSA, you can look for a local program on the Local Harvest website. Most areas have a farmers market that you can buy food from. Be careful that you’re buying farm direct though. Several ‘farmers market’ stands around here are actually selling full on commercial food, not the good stuff you get from smaller organic operations. Another good thing to consider is buying meats from local farms. You can usually buy portions of cows, hogs, and other common meats for a flat fee per pound. The downside of this is your average price per pound is probably higher than you would normally spend, but the quality is better and you get a bunch of fancy cuts for way below what you’d normally get. I highly recommend buying your meats this way instead of from the store if you can. It’s much better for you. Trust me on this! If you’re into such things, you could go hunting and fishing to fill up the freezer. It’s a ton of fun, and you are building and practicing a skill that will be invaluable during any sort of survival situation. Most areas have seasons to consider for both hunting and fishing, but that’s where the freezer comes into play. Be sure to enjoy the bounty of your catch fresh as well! I’m not going to go into too much detail on this, but if you’d like to learn more, let me know and I’ll see what I can do about putting together some more information for you. These are just a few ideas on how to prepare yourself for the continuing increase in food prices. I’d love to hear what you’re doing for your own family. Leave a comment and let me know! information is derived from "Advanced First Aid & Emergency Care ,"
1. Cover the frozen part. 2. Provide extra clothing and blankets. 3. Bring the victim indoors as soon as possible. 4. Give him a warm drink (not alcoholic!). 6. Handle the area of the frostbite GENTLY and DO NOT MASSAGE IT. 16. Keep injured parts elevated during transportation. 1. Give the victim artificial respiration, if necessary. 2. Bring the victim into a warm room as quickly as possible. 6. Dry the victim thoroughly if water was used to rewarm him. Is Prepping a waste of money?